Being a small charity that receives no government funding, Arrow relies on its supporters to achieve better outcomes for bone marrow transplant patients. 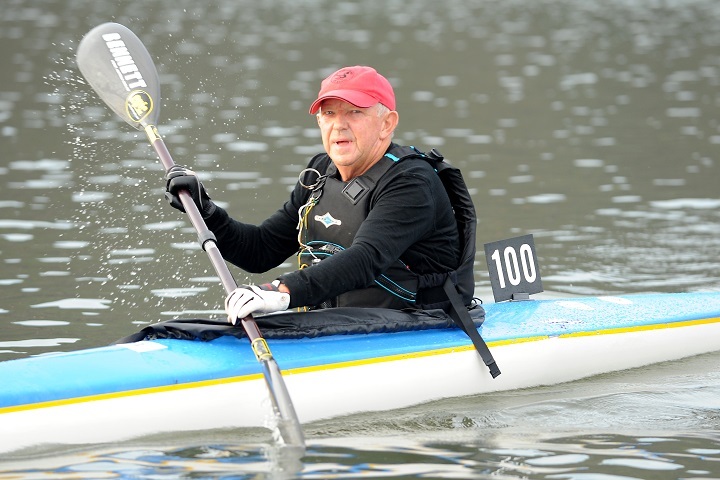 We are pleased to introduce a series of interviews with Arrow supporters – starting with Kent Heazlett who became president of the Hawkesbury Canoe Classic (HCC) Association in 2000, and was involved with the Race Committee prior to that. How did you get involved with the HCC? I sent the organisers a congratulatory message telling them what a fantastic job they and all the volunteers did. They then called me and invited me to come along to the next Race Committee meeting. As they say in the classics: the rest is history. The event is run by a very small, but absolutely dedicated, group of volunteers who give selflessly of their time throughout the year in preparation for the Classic. We have been extremely fortunate to have such talented individuals in pivotal positions on the Race Committee. They are, in turn, supported by wonderful committee members. When was your first HCC paddle and what was it like? My first paddle in the Classic was back in 1991. It was a pretty daunting experience, even though I paddled with a good mate of mine, John Kelly. I can still remember the feeling of trepidation, firstly setting off at the start at Windsor and then more so upon leaving the major checkpoint at Wiseman’s Ferry into the dark having completed 65km but knowing that we had a further 46km to go to the finish. The sight of the road bridge at Brooklyn is a glorious thing after being on the river for 13 hours!! How many times have you finished the 111km overnight paddle from Windsor to Brooklyn? I have started the event 25 times, and successfully completed it 24 times. The one time I didn’t finish, I attempted to paddle an old “clubbie” surf ski that was made for a paddler much taller than me. The result was that I was stretching forward to be able to steer the craft, a lot different from the armchair comfort of my old TK1 and TK2 kayaks. I’m looking forward to achieving my 25th “finish” in 2018. 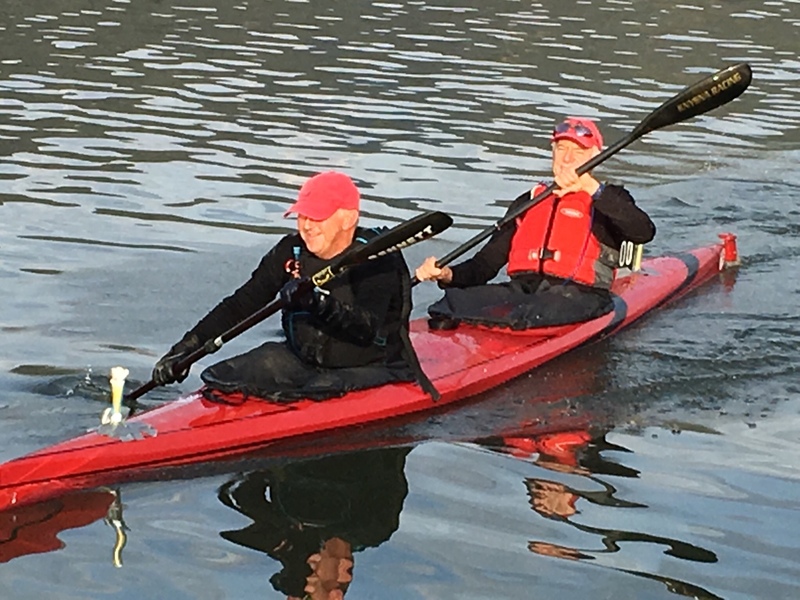 John and I had done a little bit of downriver, white-water paddling and, as John was turning 40, we were looking for a challenge and the Hawkesbury Canoe Classic was suggested as “filling that bill”. John and I were training for the Classic the following year when he broke his collarbone after being crash-tackled by one of his sons. I then paddled solo for a number of years, but he has made a come-back. I did hitch a ride in the back of Arrow Chairman, Mark O’Hara’s Mirage 730 double, on one occasion. Thankfully Mark’s strength got us home. What drives you to keep paddling? Paddling is a perfect recreation and a great competitive sport. Basically anyone can learn to paddle. To be honest I don’t do a hell of a lot of paddling outside preparation for the Classic each year. I certainly have been guilty on a number of occasions of being “underdone” as far as being “race-ready”. The timing of the Classic works well for me as far as my overall fitness regime is concerned. The late October date allows you to have a rest from training over the November, December, January period, and then to gradually get into it in the lead-up to each year’s Classic. In September, we usually take part in the Myall Classic over the 47km distance which gives a good guide as to how your training is going. Most of my fitness training revolves around the gym and the golf course. What advice would you give first time HCC paddlers? The best advice for first time paddlers in the Classic is to seek out experienced Classic paddlers and learn from their mistakes. I can still remember the huge amount of gear that we carried on our first Classic. Today we probably carry a third of what we did that first time. Why should more paddlers take on the challenge? The challenge of the Classic is twofold. Sure, it is a big physical effort but more than that it is a mental challenge to overcome what your body tells you and to keep going in the knowledge that a lot of people are relying on you to get to the finish. All those people who have donated to your fundraising want to see you finish. Also, your land-crew stays up most of the night and they will tell you that land-crewing is as tough as paddling. Having never land-crewed I wouldn’t dispute that claim – especially if I want to be fed at home as my wife, Robyn and daughter, Skye are my land-crew! Obviously the more paddlers we have, the more money we raise, and that is the reason we conduct the event each year.